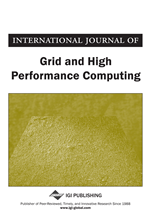 An accurate and reliable computer simulation system can help practical experiments greatly. In a cement hydration simulation system, the basic requirement is to reconstruct the 3-D microstructure of the cement particles in the initial state while mixed with water. A 2-D SEM/X-ray image is certainly achievable; however, it is not easy to obtain parallel images due to the small scale of the cement particles. In this regard, a method is proposed to reconstruct the 3-D structure from a single microstructure image. In this method, micro-particles are regenerated in a growing trees mode, which by modifying the generating probability of the leaves, the irregularity and the surface fraction of particles can be controlled. This method can fulfill the requirement for the parameters of the 3-D image while assuring that the 2-D image is in full accord. In recent years, the applications of SEM and X-ray images in describing the properties of cement materials have made a great progress (Dale & Paul, 1994; Li, 2000; Bentz, 1993; Wittmann, Roelfstra, & Sadouki, 1984). The SEM and X-ray microscope analyzing technology have been used in recognizing the main phases in Portland cement (Dale & Paul, 1994; Bentz, 1997). In addition to a standard SEM, backscatter electron imaging (BSE) capabilities provide the technicians with a unique advantage in evaluating particle structures. BSE images are used to distinguish between particles based on atomic weight (the brighter the particle image, the heavier the atomic weight) (Dale & Paul, 1994; Li, 2000). X-ray is used to detect and recognize different chemical elements. Combining the BSE and X-ray images of the same sample digital image can be achieved in which different compositions are classified and colored.